To mark Trans Day of Visibility, an Australian LGBTQI+ advocacy group has launched a campaign calling on states and territories to eliminate barriers for gender diverse people updating their birth certificate gender. Equality Australia launched the campaign on Sunday, and said the barriers that prevented trans and gender diverse people from updating their ID were discriminatory and unnecessary. “For most people, updating their birth certificate is simple. But for trans or gender diverse people, updating our birth certificates so that they correctly reflect who we are can be almost impossible,” Aram Hosie, Equality Australia director of engagement, said. While all states and territories allow people to change the gender on their birth certificate, Tasmania, Victoria, New South Wales and Queensland only allow the update if a person has undergone surgery to change genders. And in the states of Western Australia, Victoria, Tasmania and Queensland, non-binary gender is not an option for birth certificates. Tasmania is also the only remaining state that requires a person to be divorced to change their gender. Hosie said as trans and gender diverse people became more and more visible, it was time that all Australians stood with them on the issue. “We are now growing increasingly visible, organised, and clear on what we need to live full, healthy and dignified lives. We’re standing up for ourselves, and our rights, and we want Australians to stand with us,” he said. 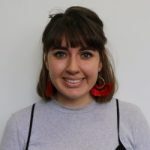 Rebecca Scott, CEO of STREAT, an LGBTQI+ founded and run organisation that works with many trans and gender diverse people, told Pro Bono News the campaign was incredibly important for the wellbeing of trans and gender diverse people. “Your name and how you identify is such a crucial part of your identity. Every extra stepping stone, or blockage that we put in the way, makes it harder for you to identify as who you really are,” Scott said. With trans people over the age of 18, 11 times more likely to attempt suicide than the rest of the population, Scott said removing small barriers like this would make a big difference during a person’s transition. “It’s such a high intensity time, and it’s easy to underestimate how all those little barriers keep on layering onto that stress,” she said. 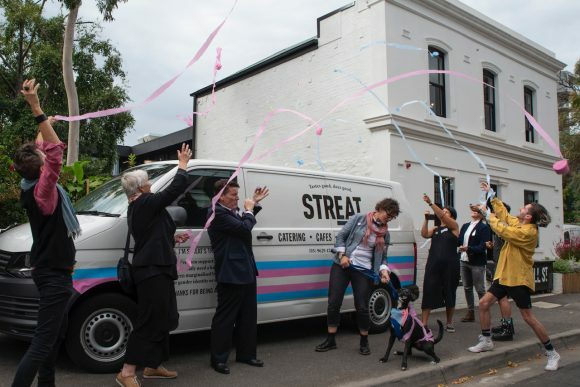 STREAT also marked Trans Visibility Day by launching its first “TransVan”, a delivery van with the transgender flag painted on the side, to signal its support and acceptence for the transgender community. Scott said it was important that organisations took simple steps to ensure trans and gender diverse people feel welcome, from LGBTQI+ flags and stickers to internal professional development days so staff are educated on the issues. “We know it might seem insignificant, but we know so many young people that have told us over time that when they arrive in our space, they know it is somewhere they can feel safe,” she said.